Ever since the attacks of 9/11/2001, the United States has actively celebrated martial virtue. We’ve portrayed our troops as heroes. Presidents have celebrated them as the best led and best trained and most effective military in all of human history. To question the wisdom of such hagiographic portrayals is to be dismissed as ungenerous and un-American. Just ask the journalist Chris Hayes. But the hard truth is that martial virtue is consistent both with republican freedoms and with imperial or despotic agendas, to include the suppression of freedom. History teaches us that martial virtues (such as they are) are readily enlisted or perverted to serve imperial or even fascist regimes. 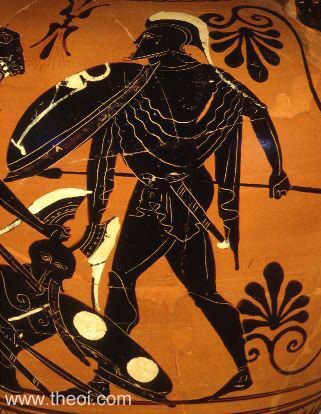 Sparta celebrated military virtues even as they lived off of slavery and exposed the “weak” to death. The Romans, in ruthlessly pursuing an empire, created deserts and called them “peace,” to quote Tacitus, one of the great historians of Rome. Both under the Kaiser and under Hitler, Germany elevated martial virtues and waged two utterly devastating wars. During World War II, Jewish (and other) resisters tapped the nobility of martial service, carving out public spaces where decisions were made freely for the purpose of defeating a regime dedicated to their destruction. Under these conditions, martial virtue upheld freedom. Martial virtue, in other words, is not an oxymoron. American troops during World War II were citizen-soldiers. Unseduced by Mars, the god of war, most of them endured the degradations of war without becoming degraded themselves. You can’t say the same of the German Wehrmacht or the Soviet Army. And there’s the rub. Martial service is also consistent with totalitarian states. Indeed, such states take pains to celebrate the military in order to co-opt its honorable qualities for disreputable ends. Military service loses its nobility as it is monopolized by the state in the name of furthering anti-democratic agendas. All of this is to say that the celebration of martial virtue is powerful — and powerfully dangerous. It may be consistent with protecting freedom, but so too may it be consistent with denying freedom. Our nation’s founders knew this when they created a small “standing” military, placing it firmly under the control of Congress and a civilian commander-in-chief, augmented by state militias under the control of governors. Founders like James Madison warned us of the dangers of perpetual war and its corrosive impact on democratic principles. They were wise to do so. And we would be wise to heed their counsel. We would be wise not to celebrate a military setting as being uniquely suited to creating “heroes.” And we would also be wise not to embrace martial qualities as being uniquely virtuous. America is not exceptional when we commit to martial virtues; America is exceptional when we commit ourselves to liberty. You are so right! I served in the Army Air corps from 1943-46 and never heard the word “hero” amongst the troops or from civilians. Most of us didn’t serve out of ‘patriotism’ but rather as a ‘necessity’ . What fell under ‘necessity’? Certainly not ‘patriotism’ but mundane things like if you were 18 and physically fit you were in the military, period. ( the draft) There existed a social stigma against young men if they weren’t in the military. No one at 18 wanted that, they were called “slackers”. Once in the military the troops only thought about when the war would end so they could get the hell out. “Regular army”soldiers ( those who had made a career of the military ) were ridiculed behind their back for accepting without question the restrictions on freedom of the military life. We did not feel ‘exceptional’ nor did we feel our country was exceptional , but we understood that the great armies we were fighting against were brutal and they were intent on destroying our civil society that we were comfortable with. We certainly were not on a ‘holy’ mission, it was just plain survival. When we came back we luxuriated in our new found ‘freedom’ and a beneficent government rewarded us with the GI bill which gave us the 52-20 Club, $20 a month for 52 weeks until we found a job or used another part of the Bill., We could then get $10,000 to buy a house, or $200 a month to get an education. It was that education that produced the young men who built our postwar economy. WW II to describe our generous country as “exceptional” and use that myth to destroy our economy, our world wide reputation, our freedoms., and launch perpetual wars to mislead our citizens with fear while we act like those we defeated sixty years ago. .
“It’s A Wonderful Life,” the Frank Capra film starring Jimmy Stewart, is fascinating for many reasons. One of them is its celebration of citizens — ordinary guys who make a difference due to their generosity of spirit. Recall in that movie that Stewart’s brother won the Medal of Honor, yet the movie celebrates the “ordinary” achievements of Stewart. Yet today’s movies, such as “American Sniper,” are much more likely to celebrate the warrior. The decline of the citizen-soldier ideal in America; in fact, the decline of the citizen ideal in America, and the related rise of a cult of war heroes, speaks to the decline of America as a republic dedicated to freedom. Which put me to mind of this post I wrote in September 2013. It’s not a wonderful life when we embrace the “wonders” of war, nor is it wonderful when everything becomes a commodity to be consumed by customers. No. It’s a wonderful life when we act as a community with generosity of spirit. Frank Capra knew that. When will we as a country regain that vision? We need to, and soon.